Social security benefits provide financial support to those who’ve little or no other income and are sometimes managed by a representative payee. First of all, you need to make sure that every beneficiary’s daily needs (food and shelter) are met. Later, any remaining part of the monetary benefits could be used for medical and dental care that aren’t covered by health insurance. Moreover, the same money could be used for clothing and recreational purposes. Apart from that, the same money, if saved can also be used to invest in some interest-bearing accounts like Individual Retirement Account or in U.S. Savings Bond. Suppose, a beneficiary is in hospice care, then his benefits can bear the medical costs on his behalf. It would be good if a certain amount is kept aside every month for emergency expenses like these. Additionally, if a beneficiary lives in a geriatric care organization and is qualified to obtain Medicaid or has been a member of a family that is on Temporary Assistance for Needy Families program, then a local Social Security office could be contacted to gain some kind of financial help. Being via representative payee mode, no Social Security officer can levy a fee for his services. It’d be best if the Social Security Administration deposits the benefits directly into the beneficiary's bank account. Social Security benefits must be kept either in a savings or checking account so as to prevent loss or theft of the money. Moreover, never mix the benefits with your own or anybody else’s money. Here, the savings or the checking account should be owned by the beneficiary and the same should reflect in the title documents. And that, the whereabouts of the fiduciary (financial agent) must be included in that. It must be noted that no representative payee or third party should be involved with account’s ownership. As per the state law, beneficiary ownership of the account shared with the fiduciary is approved. However, there shouldn't be any joint accounts whatsoever. Work with your bank officials for further assistance. A parent can be considered as the legitimate owner of the checking account on behalf of his family members. 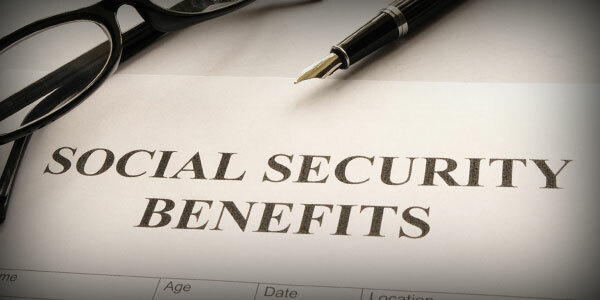 This account can then receive Social Security benefits. But, in the case of children, a separate savings account must be held in their name, keeping the child as it’s owner. Records - Representative payees will have to keep records and report about how the benefits have been spent in a document titled, ‘Representative Payee Report’. This report is compulsory even if the Representative Payee is the legal guardian of the beneficiary. There are many free online resources to help a person in bookkeeping with respect to the expenditures made using the benefits’ money. This will simplify the process of making the Representative Payee Report. Paying Income Tax - Some Social Security beneficiaries are asked to pay federal taxes for the benefits they are enjoying. On the start of each year, they’ll receive the Social Security Benefit Statement Form SSA-1099 via mail. This form will reveal the amount of money received as part of the Social Security benefits in the previous year. Such a document should be reviewed by a tax expert, specializing in Social Security benefits tax to know whether or not any taxes needs to be paid for the same. Funds should belong to the beneficiary and not the representative payee. The account title should show that. A separate account should be used to receive the funds. Beneficiaries own all the interest accumulated therein. The amount of share of each beneficiary should be shown clearly and all records must be kept of the same. A proper procedure must be followed to document all sorts of debits and credits. All records of the account should be readily available when asked for. Example: ‘Springdale Nursing Home, representative payee for Social Security beneficiaries’, or ‘Springdale patients’ fund for Social Security beneficiaries’. Any query regarding collective accounts should be resolved at the behest of the Social Security Administration. In case an organization is acting as a representative payee and the beneficiaries are charged for the care and maintenance services provided to them, then an approval from the Social Security Administration is necessary before any payment could be made. Moreover, a prior approval is also important when raising funds out of the personal funds of the beneficiaries to pay for items such as television and so on. If Medicaid is paying more than half the cost of an SSI beneficiary’s care or private health insurance is paying for the care, the SSI payment is usually limited to $30 per month, plus any additional money paid by the state. This entire payment must be used for the beneficiary’s personal needs or saved on his or her behalf if personal needs have been met. The beneficiary gets employed or is laid-off, regardless of the amount of income made from therein. The beneficiary will stay abroad for 30 or more. The beneficiary has been sentenced to more than a month’s imprisonment for a crime. The beneficiary is serving a sentence of serving an institution as per court’s order for a crime committed due to mental impairment. The beneficiary is the stepchild of his/her parents who’ve divorced. The need of a payee is no longer needed by the beneficiary. The payee is no longer responsible for the beneficiary. The payee no longer wishes to be one. The payee has been guilty of felony. The payee has violated the terms of the probation or parole, as per federal or state law. A court of law has issued outstanding arrest warrant against the payee or the beneficiary for committing serious felony. A representative payee must repay any money received on behalf of the beneficiary - one that hasn’t been reported to the Social Security Administration. Page loaded in 0.928 seconds.